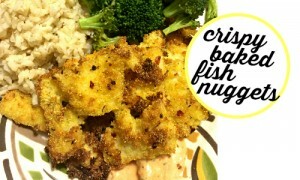 You may see shrimp in the title of the recipe and think, “Seafood isn’t very frugal!” It’s definitely more expensive per pound than most meat, but we still see deals. For us this recipe was born out of a desire to eat what we had on hand at the end of the month (we’ve all been there). I decided to see what I could do with shrimp that was in the freezer, and stretch it to feed the whole family. And so our Sausage Shrimp Skillet was born! Heat the olive oil at medium heat in a large, deep skillet. Add the zucchini, bell pepper, and onion and cook for 5-7 minutes until they start to soften. Add the sausage, crumbling it into large chunks, and stir occasionally until the sausage begins to brown. Add the shrimp and cook for an additional 5 minutes or so until the vegetables soften more. I served this with what my kids call “garlic cheese toast,” which I make by toasting sandwich bread, spreading butter on it, then sprinkling salt, garlic powder, and parmesan cheese on. Then I stick it under the broiler in the oven for a minute or so. This would also be really good over rice, pasta, or with a side of roasted potatoes. By itself, though, it’s a great keto-friendly meal! The reason I love recipes like this is because they’re so versatile, and they can be changed to please pickier eaters. My youngest was not interested in the shrimp, but she ate all the other parts. If you don’t have the vegetables I used, you could do other kinds of squash or asparagus or other heartier vegetables like carrots. You could also do just zucchini if that’s what your garden ends up producing this summer. 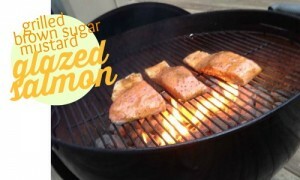 You can also change up the seasonings! The sausage has a lot of flavor so if you want to keep this simple, just add some salt and pepper to taste. If you like spice, add a tablespoon or so of cajun seasoning. If you’re eating it over pasta, maybe try some garlic powder and oregano. In other words, it’s kind of a blank slate that you can flavor however you want. 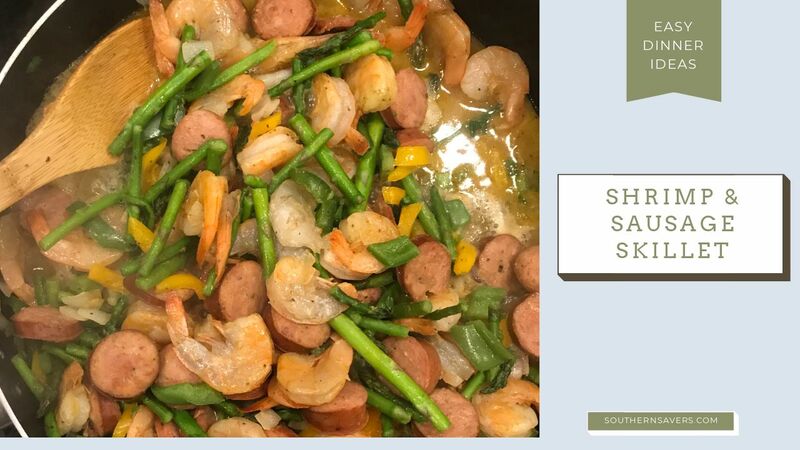 This sausage shrimp skillet is a crowd pleaser for us, so I hope your family enjoys it as well!